Read about the latest news and upcoming events at The Forbidden Corner. Santa Claus and his Grotto are back for Christmas 2018. On Sunday 2nd, 9th, 16th & 23rd of December, Father Christmas will be making his annual trips to meet the visitors at The Forbidden Corner. You can meet Santa and tell him what you are wanting for Christmas (as long as you have been nice this year!). Every child visiting can receive a present from the big man himself (which is included in the admission price, see below). Tickets need to be pre-booked, which you can do on our Online Booking Page or by calling us during open hours on 01969 640 638. We’re a 2018 Family Favourites finalist! The nominations are in and we’re delighted to announce we are a ‘day out with the kids’ 2018 Family Favourites finalist!! Our Halloween Week returns for 2018. From Saturday 27th October to Sunday 4th November, we will be having Halloween themed events. 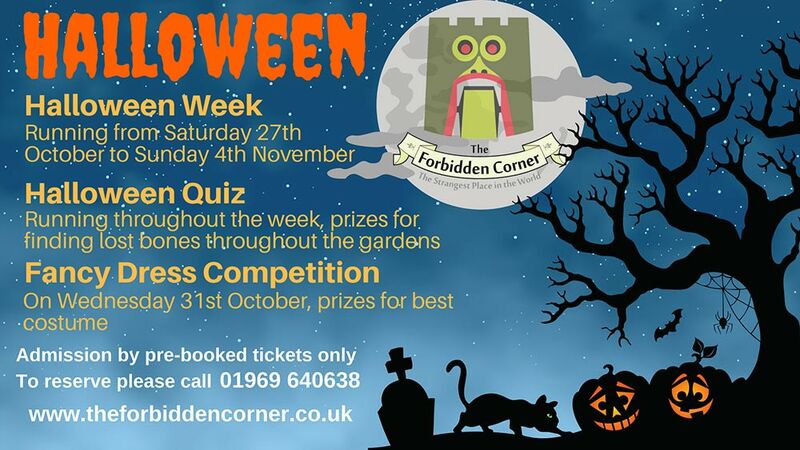 If you visit on any day between these dates you can take part in The Forbidden Corner Halloween Quiz, with prizes for those that can find the lost bones hidden throughout our gardens. On Wednesday 31st October, we are holding our Fancy Dress Competition. Get on your best scary costume and you could win a prize. If you want to visit The Forbidden Corner during our Halloween Week, then head over to our Booking Page or call 01969 640638. 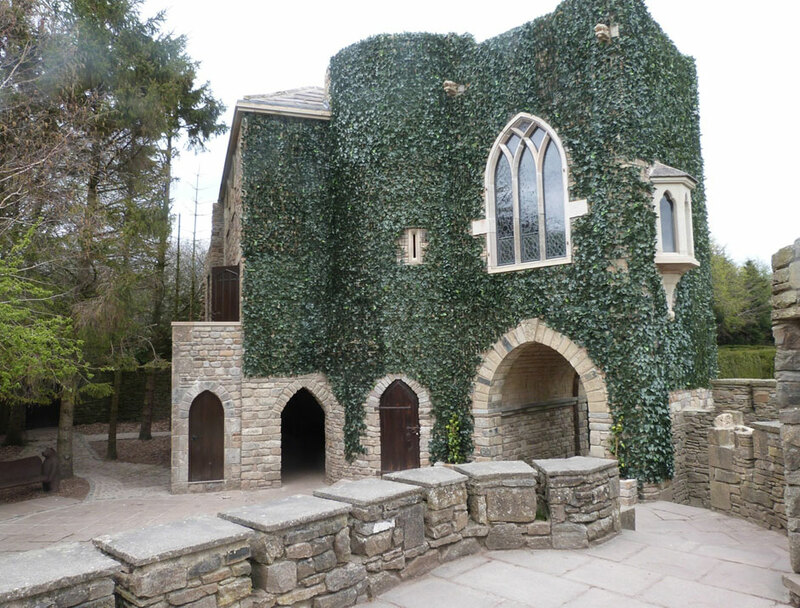 The Forbidden Corner has delighted and continues to delight many, many visitors of all ages each year and the attractions have been steadily increased over the years that it has been open to the public. The latest new attraction, has met with the disapproval of the Yorkshire Dales National Park Authority who served a notice requiring its removal. Their objection seems to be based upon a fear that the appearance of the Tower will confuse visitors who may mistake the building that has been constructed with the genuine old buildings that are nearby. The Parks Authority are also concerned that the Tower will interfere with views up and down the Dale. On the 20th of August 2018, a government planning inspector informed us that we had lost our appeal and that the Tower would have to be demolished to an acceptable height, which would mean we are only left with the bottom archway. We would like to demonstrate to the Planning Authority that the public and families are in favour of keeping the Tower and that it will help to further promote the attraction and surrounding area. We are absolutely delighted to announce that we are finalists in Welcome to Yorkshire’s prestigious White Rose Awards 2018. We have been nominated for Large Attraction of the year and are extremely excited and thrilled to be shortlisted for this award. “The White Rose Awards are the largest and most prestigious in the UK’s hospitality and tourism industry and we have some really exciting finalists this year from both new and established businesses. If anyone is visiting us this weekend please be aware that there will be some road closures on both Saturday and Sunday for the Tour de Yorkshire. We will still be open for business however on Sunday our local road will be closed between 2pm-3:20pm from Carlton to Middleham. If you require any more information you can check North Yorkshire County Councils website for full road closures or give us a call on 01969640638. We are absolutely delighted to announce that we are finalists in Welcome to Yorkshire’s prestigious White Rose Awards 2017. “With so many strong entries, shortlisting was very difficult this year. “The quality of this year’s entries has been exceptional and makes me feel hugely proud of all the brilliant work going on in tourism in the county. It’s an honour to be part of these awards that recognise the many businesses and organisations that make Yorkshire such an amazing destination. We are currently looking for some new staff to join our award winning team. 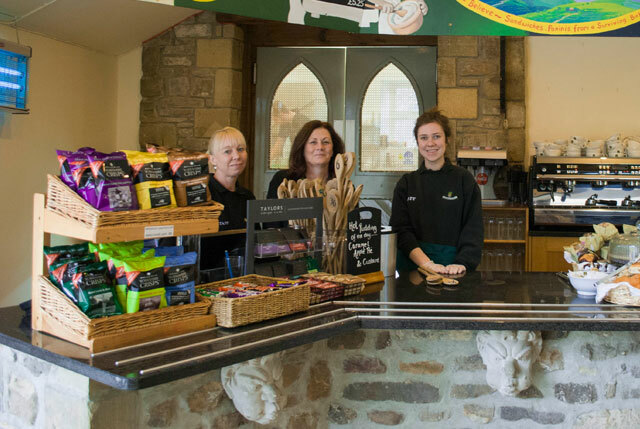 We are looking to employ a new Cafe Cook/Supervisor who should have experience of working in a busy cafe environment and be passionate about delivering superb customer service to our customers. 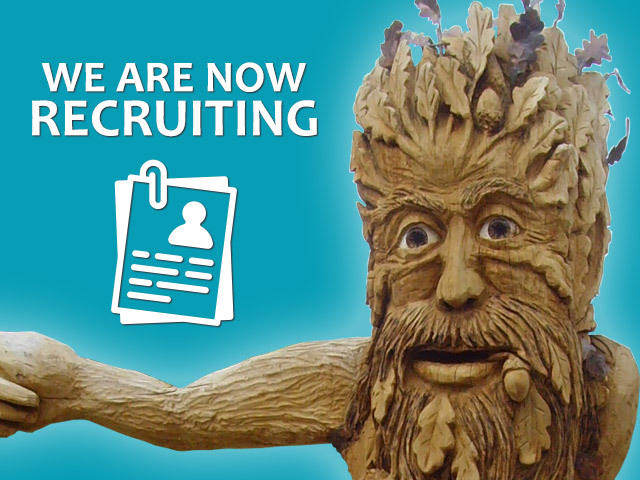 We are also looking to recruit shop and cafe assistants. 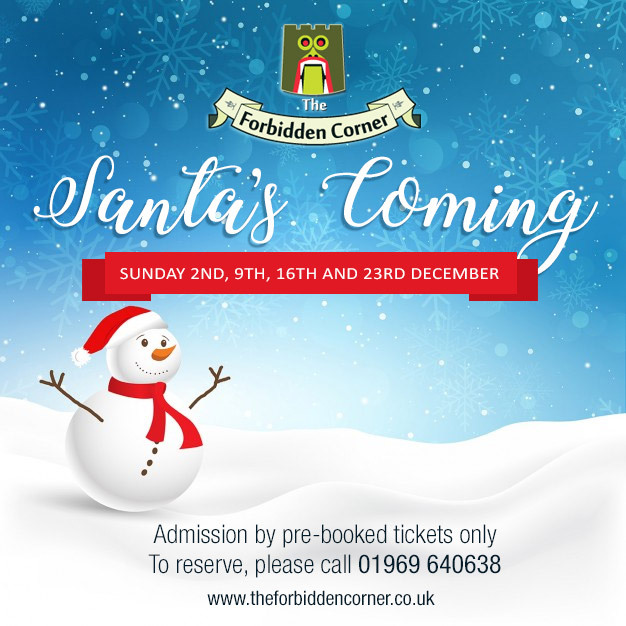 Meet Father Christmas at The Forbidden Corner. Santa Claus and his Grotto are back for Christmas 2016. On Sunday 4th, 11th and 18th of December, Father Christmas will be making his annual trips to meet the visitors at The Forbidden Corner. You can meet Santa and tell him what you are wanting for Christmas (as long as you have been nice this year! ).